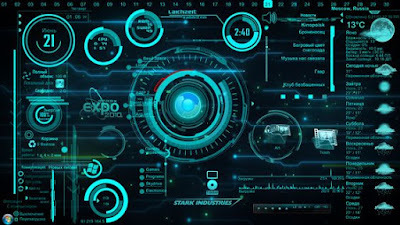 When I saw Iron Man in 2008, the coolest thing that jumped right out was Jarvis, or J.A.R.V.I.S (Just A Rather Very Intelligent System), to be more precise. 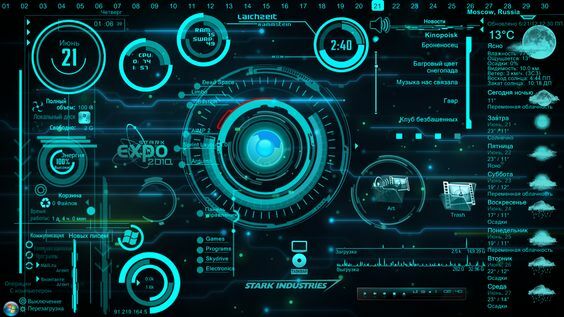 More than the Iron Man suit, I wanted to have an Intelligent System at home that took care of all my mundane work for me while I chilled. We're not quite there yet but Alexa's probably the closest thing we have to J.A.R.V.I.S right now. Alexa is an intelligent personal assistant, modeled after the computer conversational system on board the starship Enterprise in Star Trek. 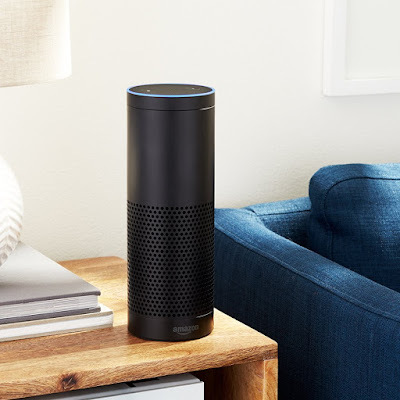 It seems like Alexa's been around forever but it was actually only introduced to the world when Amazon launched the Amazon Echo in November 2014. Now, Alexa's capable of many tasks - setting alarms, music playback, to-do lists, playing audio books and even providing real-time information like traffic and the weather. But if you ask me, the best thing about Alexa is the voice interaction. In Tech parlance, Easter eggs are hidden messages or jokes left in a computer program or video game by the programmers for users to find. It's very much like an Easter egg hunt in real life. The programmers behind Alexa are no different and from the looks of it, know how to have a bit of fun. Here are 200 fun questions you can ask your Alexa voice assistant devices like the Amazon Echo and Amazon Echo Dot. 1. "Alexa, do I need an umbrella today?" 2. "Alexa, who's better, you or Siri?" 3. "Alexa, where have all the flowers gone?" 4. "Alexa, who loves ya baby!" 5. "Alexa, are you alive?" 6. "Alexa, how much wood can a woodchuck chuck if a woodchuck could chuck wood?" 7. "Alexa, are we in the Matrix?" 8. "Alexa, how tall are you?" 9. "Alexa, flip a coin." 10. "Alexa, random number between "X" and "Y." 11. "Alexa, who stole the cookies from the cookie jar?" 12. "Alexa, what's your sign?" 14. "Alexa, what is your quest?" 15. "Alexa, what did the fox say?" 16. "Alexa, I'll be back!" 17. "Alexa, why is a raven like a writing desk?" 18. "Alexa, do you know Hal?" 19. "Alexa, are you happy?" 20. "Alexa, Help! I've fallen, and I can't get up." 22. "Alexa, that's no moon." 23. "Alexa, where do you live?" 24. "Alexa, live long and prosper." 25. "Alexa, how much does the Earth weigh?" 27. "Alexa, what is the first rule of fight club?" 28. "Alexa, what is the second rule of fight club?" 30. "Alexa, why is six afraid of seven?" 31. "Alexa, twinkle, twinkle little star." 32. "Alexa, do you feel lucky punk?" 33. "Alexa, do you dream?" 34. "Alexa, play it again Sam." 35. "Alexa, what is war good for?" 36. "Alexa, I think you're funny." 37. "Alexa, are you stupid/smart?" 38. "Alexa, is this the real life?" 39. "Alexa, beam me up!" 40. "Alexa, I hate you." 41. "Alexa, roll a die." 42. "Alexa, are you smart?" 43. "Alexa, will you be my girlfriend?" 44. "Alexa, what's the answer to life, the universe, and everything?" 45. "Alexa, is the cake a lie?" 48. "Alexa, see you later alligator." 49. "Alexa, do you know the muffin man?" 50. "Alexa, do you want to build a snowman?" 51. "Alexa, who is the walrus?" 52. "Alexa, say the alphabet." 54. "Alexa, how do you know so much about swallows?" 55. "Alexa, heads or tails." 56. "Alexa, this statement is false." 57. "Alexa, why did the chicken cross the road?" 58. "Alexa, roll for initiative." 59. "Alexa, how high can you count?" 60. "Alexa, who loves orange soda?" 61. "Alexa, when does the narwhal bacon?" 62. "Alexa, are you in love?" 63. 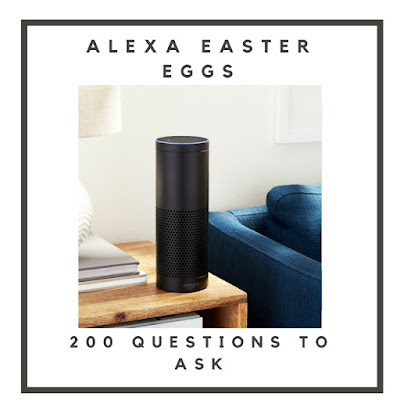 "Alexa, which comes first: the chicken or the egg?" 64. "Alexa, my name is Inigo Montoya." 65. "Alexa, Tea. Earl Grey. Hot." 67. "Alexa, what do you want to be when you grow up?" 68. "Alexa, define rock paper scissors lizard spock." 69. "Alexa, were you sleeping?" 70. "Alexa, are there UFOs?" 71. "Alexa, execute order 66." 72. "Alexa, I want the truth!" 73. "Alexa, do a barrel roll!" 74. "Alexa, what do you think about Google?" 76. "Alexa, who's the boss?" 77. "Alexa, what do you think about Google Now?" 79. "Alexa, what's your birthday?" 80. "Alexa, who let the dogs out?" 81. "Alexa, what is the sound of one hand clapping?" 82. "Alexa, are you lying?" 83. "Alexa, all your base are belong to us." 84. "Alexa, my milkshake brings all the boys to the yard." 85. "Alexa, what is the best tablet?" 87. "Alexa, testing, testing 1-2-3." 88. "Alexa, do you like green eggs and ham?" 89. "Alexa what do you think about Siri/Cortana?" 90. "Alexa, what would Brian Boitano do?" 91. "Alexa, use the force." 92. "Alexa, may the force be with you." 93. "Alexa, never gonna give you up"
94. "Alexa, I want to play global thermonuclear war." 95. "Alexa, tell me a riddle." 96. "Alexa, may the force be with you." 97. "Alexa, how much do you weigh?" 98. "Alexa, do aliens exist?" 100. "Alexa, who is the mother of dragons?" 101. "Alexa, what do you think about Google Glass?" 102. "Alexa, take me to your leader!" 103. "Alexa, all's well that ends well." 104. "Alexa, do you have a boyfriend?" 106. "Alexa, does this unit have a seal?" 107. "Alexa, do you believe in love at first sight?" 108. "Alexa, do you have a last name?" 109. "Alexa, am I hot?" 110. "Alexa, what is your favorite color?" 112. "Alexa, can I ask a question?" 113. "Alexa, is Jon Snow dead?" 114. "Alexa, who shot first?" 115. "Alexa, what is love?" 116. "Alexa, your mother was a hamster!" 117. "Alexa, why do birds suddenly appear?" 119. "Alexa, are you horny?" 120. "Alexa, who is on 1st"
122. "Alexa, you talkin' to me?" 125. "Alexa, is there life on Mars?" 127. "Alexa, give me a hug." 128. "Alexa, happy New Year!" 129. "Alexa, sing me a song." 131. "Alexa, are you a robot?" 132. "Alexa, what color is the dress?" 133. "Alexa, where are you from?" 135. "Alexa, do you love me?" 136. "Alexa, how do I get rid of a dead body?" 137. "Alexa, what is best in life?" 138. "Alexa, what is the meaning of life?" 139. "Alexa, where did you grow up?" 140. "Alexa, what should I wear today?" 141. "Alexa, what happens if you cross the streams?" 142. "Alexa, do you really want to hurt me?" 143. "Alexa, can you give me some money?" 144. "Alexa, I like big butts." 145. "Alexa, to be or not to be." 146. "Alexa, will pigs fly?" 147. "Alexa, what is his power level?" 148. "Alexa, roses are red." 150. "Alexa, did you fart?" 151. "Alexa, where is Chuck Norris?" 153. "Alexa, where's the beef?" 155. "Alexa, is there a Santa?" 157. "Alexa, klattu barada nikto." 158. "Alexa, tell me a tongue twister." 159. "Alexa, why so serious?" 160. "Alexa, what are the laws of robotics?" 161. "Alexa, say a bad word." 163. "Alexa, are you crazy?" 164. "Alexa, tell me something interesting." 165. "Alexa, what happens if you cross the streams?" 166. "Alexa, set phasers to kill." 167. "Alexa, happy Hanukkah/Valentine's Day!" 168. "Alexa, surely you can't be serious." 169. "Alexa, one fish, two fish." 170. "Alexa, how many licks does it take to get to the center of a tootsie pop?" 171. "Alexa, what do you think about Apple?" 172. "Alexa, how old are you?" 173. "Alexa, make me a sandwich." 174. "Alexa, do you know Glados?" 176. "Alexa, who lives in a pineapple under the sea?" 178. "Alexa, how many pickled peppers did Peter Piper pick?" 179. "Alexa, show me the money!" 180. "Alexa, have you ever seen the rain?" 181. "Alexa, what are you wearing?" 182. "Alexa, who is the fairest of them all?" 183. "Alexa, do blondes have more fun?" 184. "Alexa, can you smell that?" 185. "Alexa, Romeo, Romeo, wherefore art thou Romeo?" 186. "Alexa, what is the loneliest number?" 189. "Alexa, what are you made of?" 190. "Alexa, how many roads must a man walk down?" 191. "Alexa, do you have a girlfriend?" 192. "Alexa, where are my keys?" 193. "Alexa, party on, Wayne!" 194. "Alexa, can you pass the Turing test?" 195. "Alexa, how are babies made?" 196. "Alexa, do you want to go on a date?" 197. "Alexa, what number are you thinking of?" 198. "Alexa, I shot a man in Reno"
200. "Alexa, do you want to fight?" While these fun questions aren't as useful as traditional Alexa commands, they're what makes owning an Alexa great. Whether its sci-fi or pop culture that ability to play along is part of the charm and what set's it apart from other home intelligent personal assistants. This list is by no means complete and it seems that Amazon is adding new ones each day. Gotta keep up with the times, eh? Some questions also have multiple answers, so try asking Alexa again and she might surprise you with a different answer. Are there any new ones or ones we've missed? Let us know! 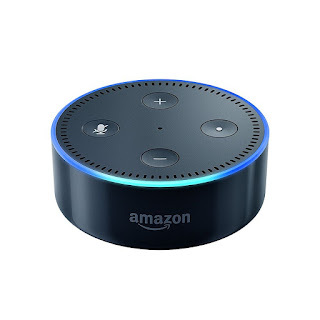 In full disclosure, there are a couple of affiliate links to buy the Amazon Echo and Echo Dot in the article above. Thanks to your help we've manage to keep the site going!